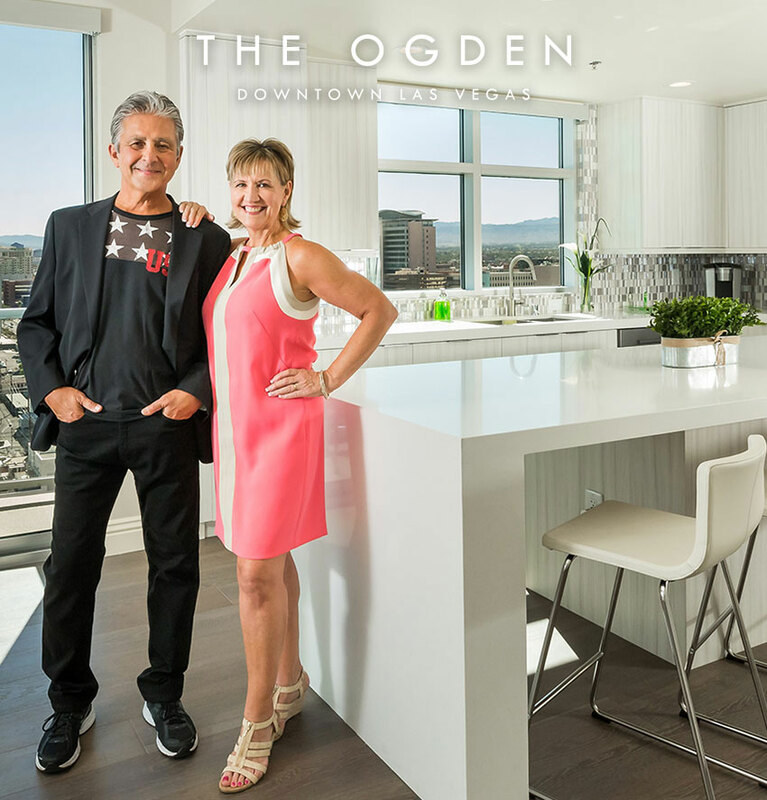 The Ogden, a 21-story high-rise condominium tower in the heart of downtown Las Vegas, had much to celebrate this month with the unveiling of new models, a weekend open house that drew more than 300 prospective homeowners and the grand opening of Flock & Fowl, a restaurant on The Ogden’s ground floor. Two popular floor plans, The Goodman and The Cragin penthouse, were remodeled through a collaboration with Lee Bryan Interior Design and featured during the recent open house. Priced at $659,900, the 1,847 square-foot Cragin features three bedrooms, two balconies and 2½ baths, as well as a spacious kitchen with stainless steel Samsung appliances, quartz countertops and plenty of cabinet space by industry leader, Ultracraft. The layout of The Goodman, priced at $699,900 and spanning 2,044 square feet, lives like a ranch house in the sky with three bedrooms and 2½ baths.